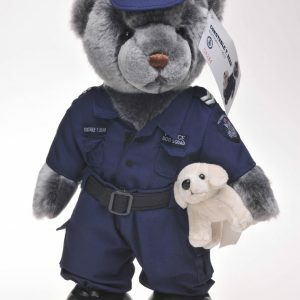 Edition 14 of Constable T. Bear has joined the Public Order Response Team (PORT). 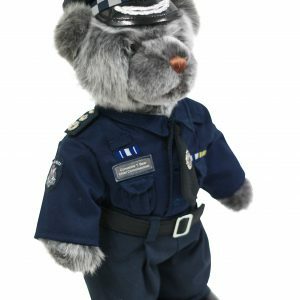 So that we could present you what we believe is our best bear ever, we’ve used factories in four countries to manufacture components for this bear. 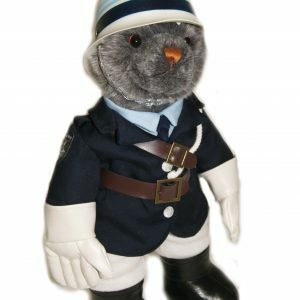 Edition 14 features a helmet that comes from the same factory that supplies law enforcement agencies around the World. 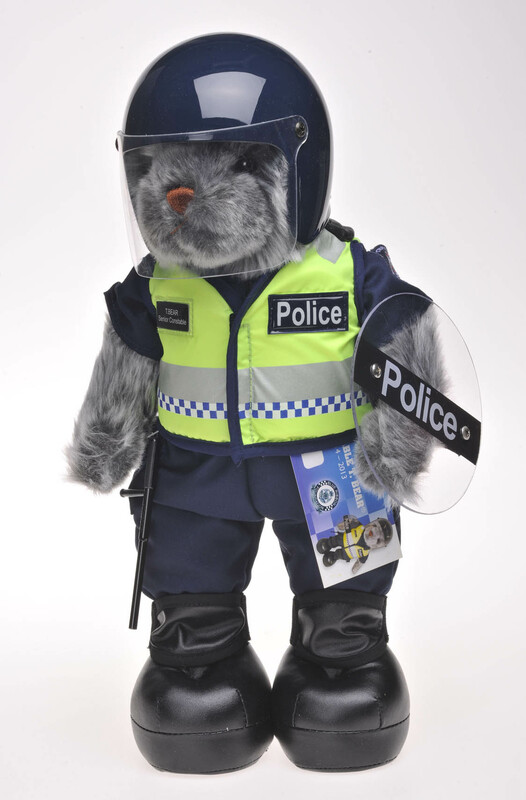 He also features a fluoro equipment vest, riot shield, baton and protective knee pads. 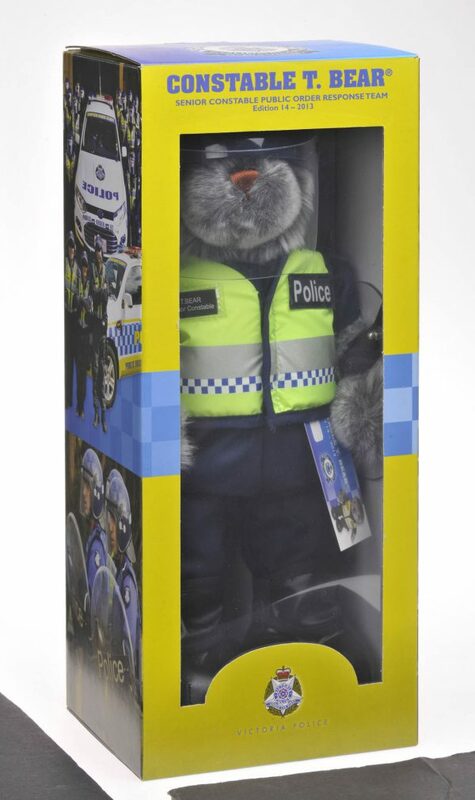 Each bear is individually numbered and packed in a presentation gift box.